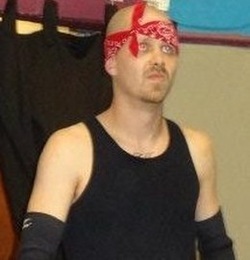 Little Daddy C arrived in Keystone in 2010 with the Enterprise from the Empire State of ECPW and embarked on an all out assault on Keystone. Daddy C along with Keith Zimmer and the arrogant IB Green looked to end Keystone. Daddy C was in the corner of Green when Green and the Suiicde King battled in a Steel Cage at Caged Fury 3, leaving blood spilled and egos checked. Little Daddy C vansihed from Keystone along with the rest of the Enterprise afterward. Little Daddy C gained major success in ECPW's other territories and is now back in Keystone with a new attitude and is out for himself. This Keystone star is a threat to the roster so watch out.